This site is dedicated to raising awareness of the case of the Swedish publisher Gui Minhai, scholar and co-owner of Causeway Bay Bookstore, Hong Kong. Gui Minhai was last seen on October 17, 2015, when he left his holiday apartment in Pattaya, Thailand. Since then he has been in detention in mainland China without legal assistance or consular access. Chinese authorities admitted to having detained Gui in January 2016, after state-controlled TV channel CCTV aired a forced confession video of him saying he had caused a traffic accident in 2003, and that he had returned to China voluntarily to turn himself in. Other than this, no information on his status or whereabouts has been given to his family nor to Swedish authorities. 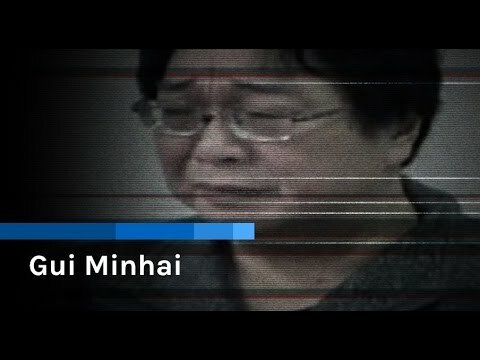 In October-December 2015 four of Gui Minhai’s colleagues were abducted. Although all evidence points to his four colleagues being under strict surveillance, Gui is the only one of the five that remains in illegal detention on the Chinese mainland. Gui appeared in various media, giving a staged ‘interview’. He claimed to have been ‘used as a political chess piece’ by Swedish diplomats. In November 2017 Gui had sought medical care in Ningbo after having developed some neurological symptoms while in detention. He had been told to seek a second opinion by foreign specialists, so the Swedish embassy in Beijing had arranged for Gui to travel there by train to be examined by a Swedish doctor. Gui was travelling accompanied by two senior Swedish diplomats when the journey was intercepted and a group of ten plainclothes police seized him and carried him off the train. Chinese officials claimed that Gui was now under investigation for illegal business operations, trafficking in state secrets, and ‘illegally spending time with foreign diplomats’. There has been no trial date and no detention notice. Gui phoned his daughter Angela claiming he was now free and had chosen to remain in China for the foreseeable future. He said he had rented an apartment in Ningbo (Zhejiang province) and was able to see his family there. Over the next three months, Gui was in frequent contact with his daughter. From these conversations it emerged that he was not in fact ‘free’, but held in a type of residential surveillance, unable to leave China. Swedish diplomats were told that Gui was to be released after having served two years for the alleged traffic incident (despite no trial having taken place). However when senior diplomats went to assist him upon his release they were told Gui had already left. Swedish consular officials are allowed to meet with Gui again. He still claims not to want any help. Lam leads a demonstration of six thousand people from Causeway Bay to Beijing’s liaison office. Lam Wing-kee holds a press conference where he tells the media of his abduction from Shenzhen on October 24. Lam says he was blindfolded and put on a train to Ningbo where he was held in solitary confinement. He also reveals that his appearance on TV was staged and that he was given a script to read from. Lam returns to Hong Kong and cancels his missing person’s report with the police, making Gui the only one of the five booksellers that has not yet been “released”. Gui calls his daughter again. This time he tells her he is being treated well and asks detailed questions about the congressional hearing. Angela Gui testifies at a US congressional hearing in Washington DC. She wakes up to four missed calls from Gui Minhai on Skype. Gui phones Angela again, telling her again not to give any interviews. Gui phones his daughter Angela, speaking English. He says he is not allowed to speak Swedish, but tells Angela he has committed crimes and will have to stay in China to sort out his “complicated situation”. He also tells her not to give any further interviews or ask for any help from authorities, as this will make matters worse for him. Lee returns to Hong Kong and denies that he was kidnapped. He also said that he would never publish “banned books” again, and that during his time in mainland China, he was impressed by its economic prosperity. Like Lui, Cheung returns to Hong Kong, tells police to drop his case, and then travels back to the mainland. Lui returns to Hong Kong and tells the police to drop the case on his disappearance, and then travels back to mainland China. 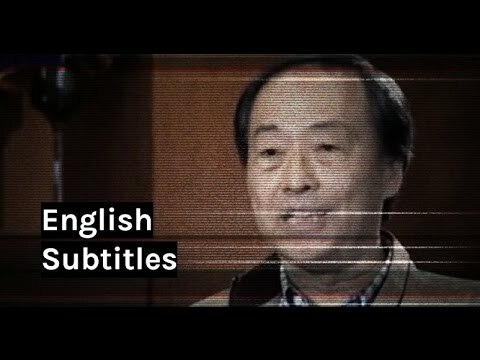 Lui por, Cheung Chi-ping, and Lam Wing-kee appear on Hong Kong channel Phoenix TV admitting to distributing unlicensed books to the mainland. Swedish consular officials are allowed to meet with Gui for the first time since his disappearance from Pattaya. Gui tells them he returned on his own, and that he does not want any help from Sweden, after which he gets up to leave. The Swedish embassy repeatedly requests further consular visits but these are denied with reference to Gui supposedly not wanting any help. Guangdong police confirms Lui Por, Cheung Chi-ping, and Lam Wing-kee are in custody and are being investigated in mainland China. They also tell Hong Kong police that Lee Bo does not want to speak to them. Sunday Times reports that a leaked internal Chinese Communist Party document lists 14 Hong Kong publishing houses to be “exterminated”, where Mighty Current is mentioned. The South China Morning Post reports that there is no record of Gui leaving Thailand. Hong Kong police say there is no record of Lee leaving the city. Chief Executive Leung Chun-ying says it would be unacceptable and a violation of the Basic Law and the “one country, two systems” arrangement if mainland authorities had made an arrest in Hong Kong. Lee’s wife reports him as missing after she receives a phone call in Mandarin (they usually communicate in Cantonese). Lee Bo, co-owner of Mighty Current and Causeway Bay Books is last seen in Mighty Current’s Chai Wan warehouse. Four men visit Gui’s Pattaya apartment after a phone call to the condo staff in which Gui gives permission for his ‘friends’ to enter and stay overnight. They use the computer and attempt to take it away. Two weeks after Gui goes missing, he messages his daughter Angela on Skype saying he has transferred money to her Hong Kong bank account, and ‘I hope you will be fine with everything’. Lui Bo, general manager of Mighty Current, business manager Cheung Ji-ping and bookstore manager Lam Wing-kee, go missing after separately visiting Shenzhen. Gui last seen leaving his holiday home in Pattaya, Thailand with an unknown man who had been waiting at the gate for him to return. A few days later the condo staff receive a phone call in which Gui said he was okay and that he was gambling in Cambodia. Get the latest news about Gui Minhai. Subscribe to our newsletter. Please fill in your name and e-mail address below.